Merline’s passion is real estate and in helping people. Merline especially enjoys helping first time home buyers through the transaction process which can be overwhelming without the help of a Realtor. She also loves to assist buyers in finding their perfect second home, usually on one of the beautiful lakes in the area. Merline owns and operates Dream Maine, a vacation rental company offering short term rentals for those wishing to visit our beautiful state. PLEASE CLICK ON THE LINK FOR “My Website” TO VIEW THE RENTAL PROPERTIES AVAILABLE FOR YOUR ULTIMATE MAINE VACATION. Merline puts her marketing hat on when working with sellers and can assist in the sale of any property here in Maine. If you have ever considered putting your home on the market, she would greatly appreciate the opportunity to meet with you to discuss why you should consider working with her. She has always lived in the area so is familiar with, not only the real estate market, but the neighborhoods and towns so unique to this area. Merline has been active in the community as a Girl Scout Brownie leader, Gardiner Little League softball manager and softball coach. She has three grown children and two grandchildren. Merline resides in Mt. Vernon with her partner and pets and spends her free time either on Minnehonk Lake or any of the other numerous lakes and ponds in the area. She enjoys photography and gardening and is a member of the Kunklebuster’s Antique Auto Club and is a board member of the Greater Minnehonk Lake Association and is a certified Water Quality Monitor for the Maine Lakes Volunteer Program. Before entering the real estate business in 2009, Merline held various positions with local telecommunications companies. After 30 years, she was looking for a change and found real estate. She has never looked back. Merline is a member of the National Association and Maine Association of Realtors as well as the Kennebec Valley Board of Realtors. 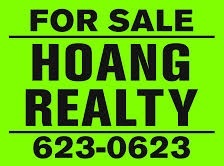 Please reach out to her for assistance in buying, selling or renting your property.